Beth Shalom Synagogue (House of Peace) of Columbia, South Carolina has just past a major milestone of serving the Jewish Community for 100 years having been chartered in 1912. Their current synagogue, dedicated in 1973, is modeled on post WWII synagogue design principles (i.e. modern lines devoid of detail and a deliberate lack of connection to the congregation’s past history). These synagogue design principals also feature a congregation that faces forward in straight rows with the clergy officiating from the very front of the sanctuary. In addition the architecture of this synagogue utilizes solid concrete walls with little or no insulation since there was little consideration for energy efficiency or operating costs. Also characteristic of the synagogue architecture of its day there no provisions made for full and unrestricted “handicapped accessibility” in the main worship space and other places in the synagogue. 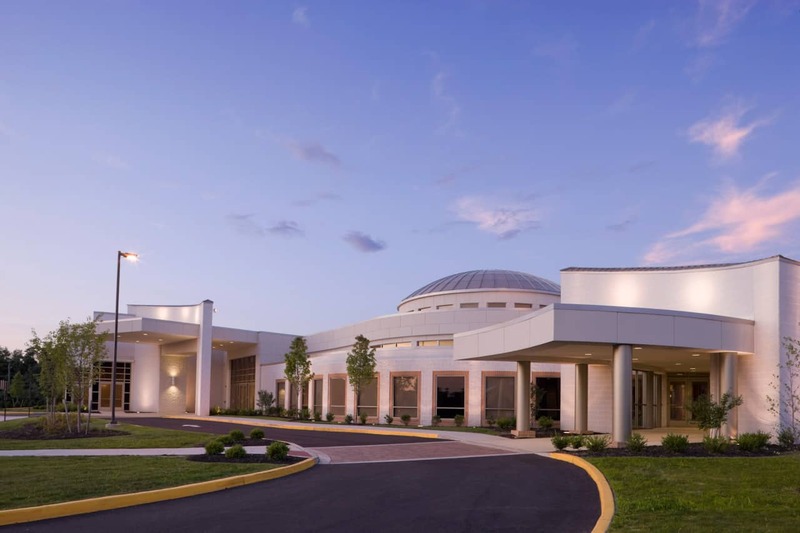 In 2012 Beth Shalom Synagogue selected Levin/Brown & Associates, Inc. as their synagogue architect to produce a Synagogue Master Plan that would respond to current and future worship styles. In addition there is a high priority placed on making the synagogue fully “accessible” to all of its members. Another challenge is to find a way to have the congregation face east rather than its current southern orientation. Levin/Brown will work with the design committee to create the new synagogue facility that will include a more intimate and flexible sanctuary suitable for Shabbat services accommodating both small and large groups with up to 200 seats plus and expansion for B’nai Mitzvot up to 300 and ultimately expandable to 700 +/- for High Holiday worship. Levin/Brown will also be reviewing the synagogue’s administrative and clergy offices, the social hall and kitchen, the chapel, library and public lobbies and spaces. Utilizing Levin/Brown’s Synagogue Program Questionnaire, the synagogue is currently developing the data and information to begin the Master Plan design phase. As a synagogue architect, Levin/Brown is especially excited about the opportunity to work on a project that can create a design that is truly accessible to everyone and that responds to changing worship styles and reconnecting Beth Shalom Synagogue to its historic past.